If you’ve read Ulysses cover to cover, you’ll know that Sweny’s Chemist serves as one of the most important locations in the book. During his daily activity, Bloom pops into this chemist to pick up a pot of face cream for his wife (he actually forgets to get the prescription, but we’ll let that slide) and buys a bar of soap to take the local bathhouse. Although Bloom is in a bit of a bad mood when he enters the chemist – because he’s on the way to a funeral – the chemist is an integral part of his day and one that is remembered by Joyce fans. Nowadays, the chemist isn’t a fully functioning chemist (so you can’t pick up your ‘sweet lemony wax’) but has been preserved by Joyce historians. 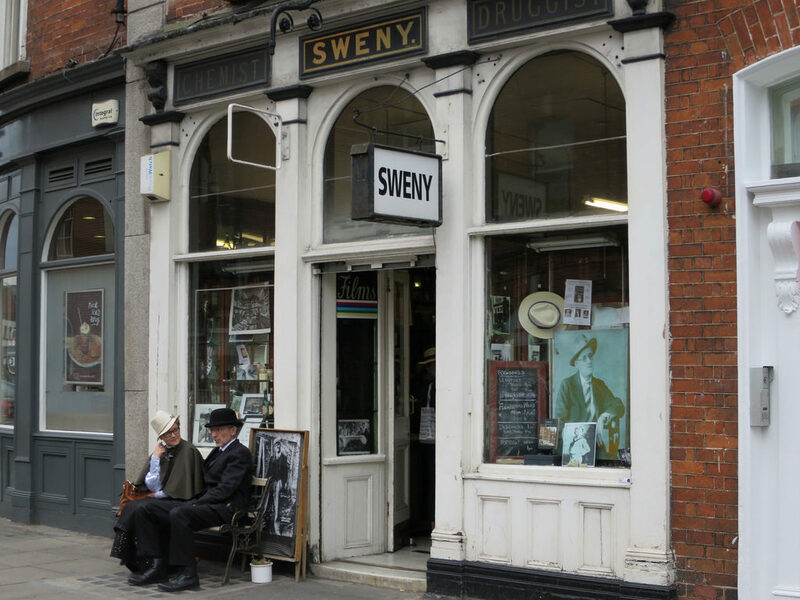 You can now visit Sweny’s Chemist to hang out with fellow Ulysses enthusiasts, buy a few second-hand novels, and even attend Ulysses book readings. It is a must. I mean, who doesn’t love a good museum? 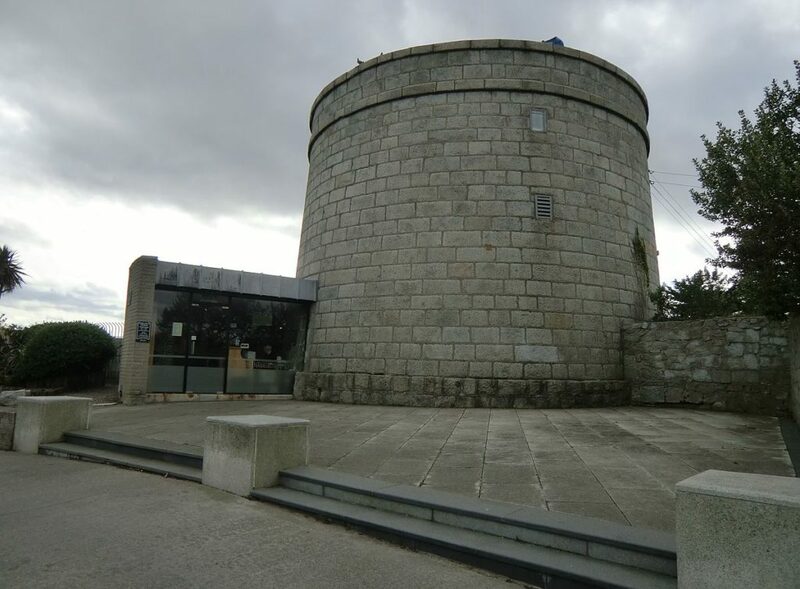 The Joyce Tower and Museum is not only an integral part of Ulysses, but it was also an integral part of James Joyce’s life. The tower, which is located on the top of a cliff in Dublin, was owned by Joyce’s friend back in the early 1900s (although we have to admit, it’s not an ideal location for a house). In 1904, Joyce went to stay there for six days. He later included the tower into the opening scenes of his novel, Ulysses. Today, the tower has been transformed into a museum dedicated to Joyce, his works, letters, his personal belongings – and even a bust of the writer. On Bloomsday each year, they put on a special celebration in honor of the book. Do you even need any more reason to go? Of course, we’re talking about Davy Byrne’s pub. In Ulysses, Leopold Bloom takes a break out of his busy schedule to stop at 21 Duke Street to quench his thirst and wet his appetite. He eats a delicious Gorgonzola sandwich and washes it down with a nice big glass of burgundy (errrr, yum!) 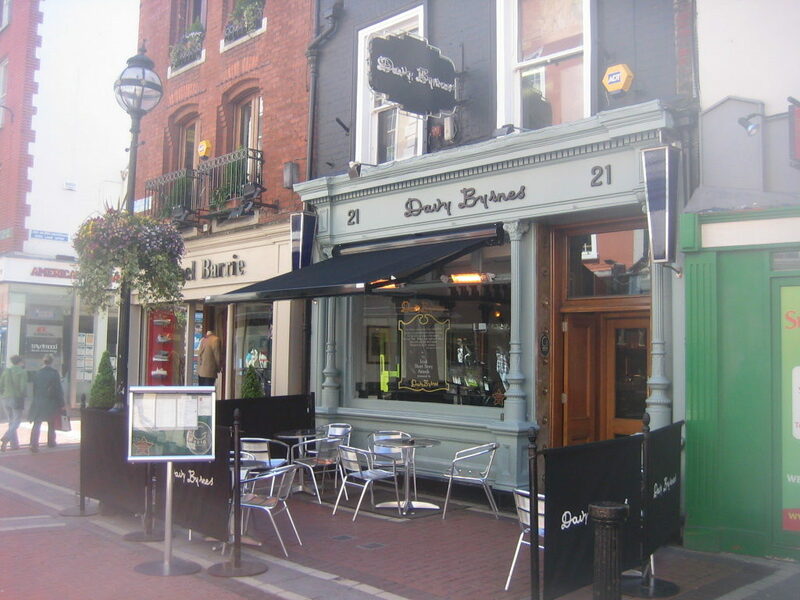 If you’re a Joyce fan, no trip to Dublin is complete without a trip to Davy Byrne’s pub – and a Gorgonzola sandwich. Who doesn’t love a good trip to the seaside? 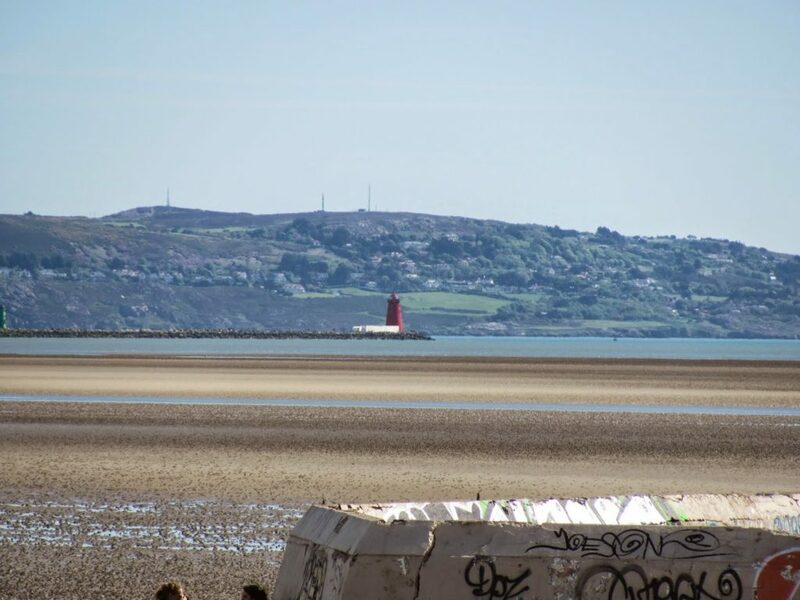 Sandymount Strand is located in Sandymount, Dublin – and it’s definitely a worthwhile trip, even if you’re not a James Joyce fan. But if you are (which you should be) this location features in two separate episodes in Ulysses. In Episode 3 (Proteus), Stephen Dedalus takes a wander onto the Sandymount Strand, in what is described as a walk ‘into eternity.’ Later, in Episode 13 (Nautica) Leopold Bloom takes a trip to the Strand and stumbles across Gerty MacDowell. And well, we won’t explain what happens next. Ulysses fans will know. Nevertheless, it is a beautiful place to visit. There’s nothing we love more than following in the footsteps of our favorite authors and characters (if only Hogwarts actually existed) so if you love Ulysses and James Joyce, a trip to Dublin just has to be on your bucket list.